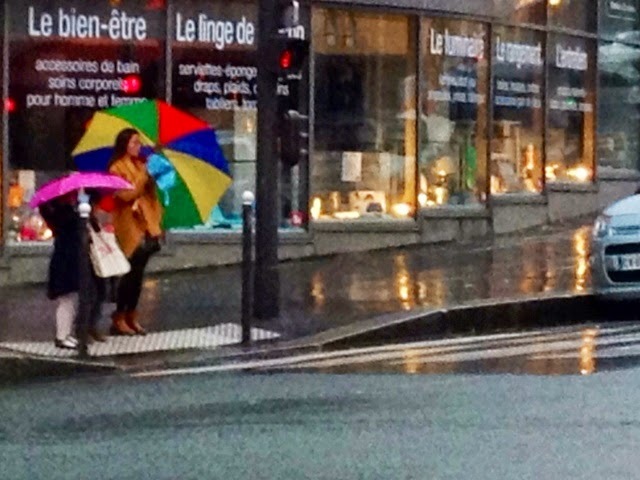 A rainy grey weekend in Paris. The parapluies (umbrellas) are out. 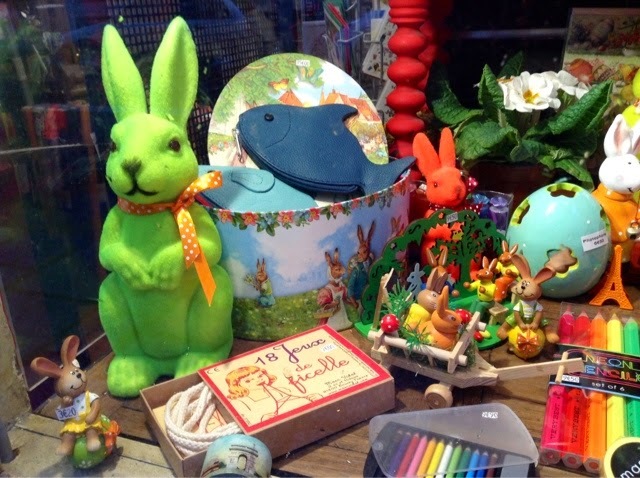 Bunny madness has hit Paris windows hard. Why am I always surprised? 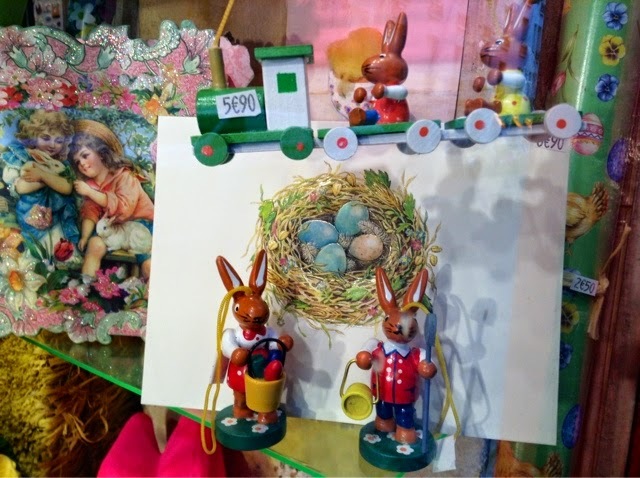 Bunny soaps like frogs sitting in a hair salon vitrine decked to the hilt. 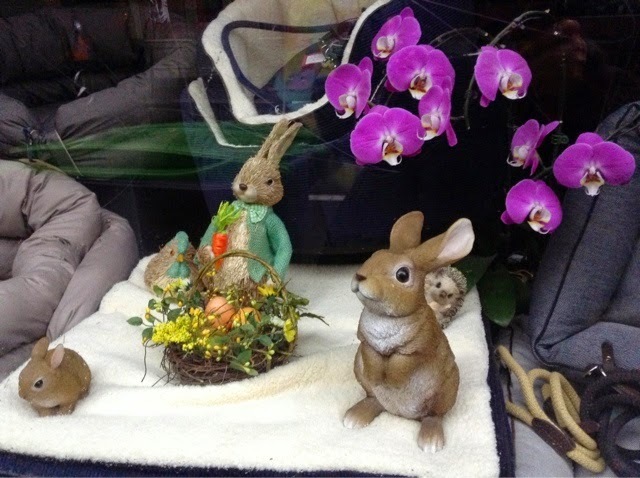 More bunnies in a pet shop window. 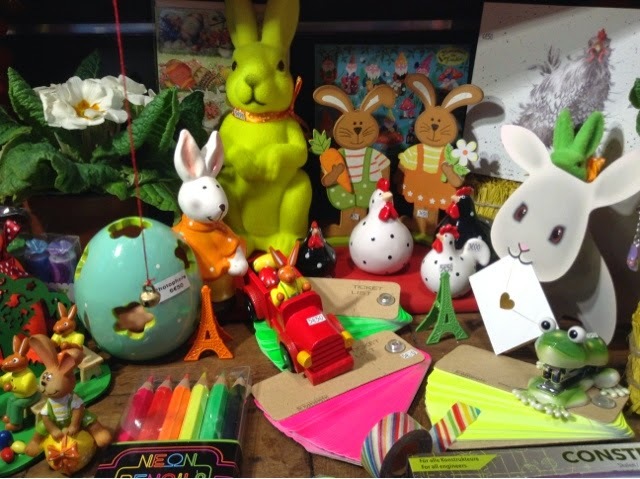 A mad variety of bunnies in a stationary shop. Green is the preferred bunny color. 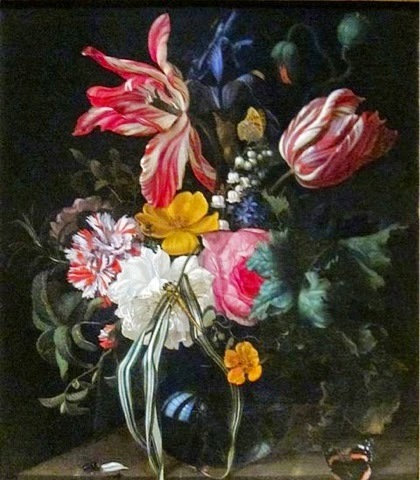 Almost as much fuss is made over Easter here as Christmas not that I mind a bid. Very cheering. 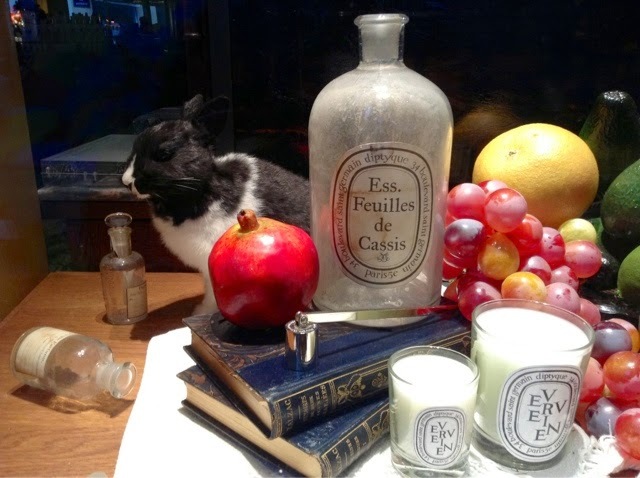 Elegant perfume shop Diptyque has a more sedate bunny onboard. 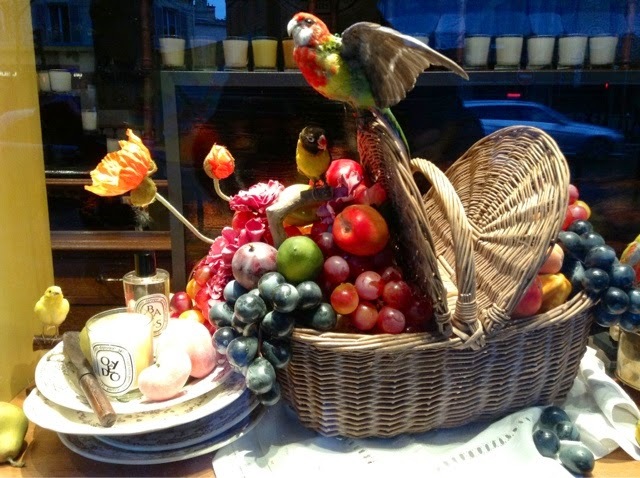 If you're in Paris, do hop over to rue Pontoise and bvd Saint-Germain to see the windows. 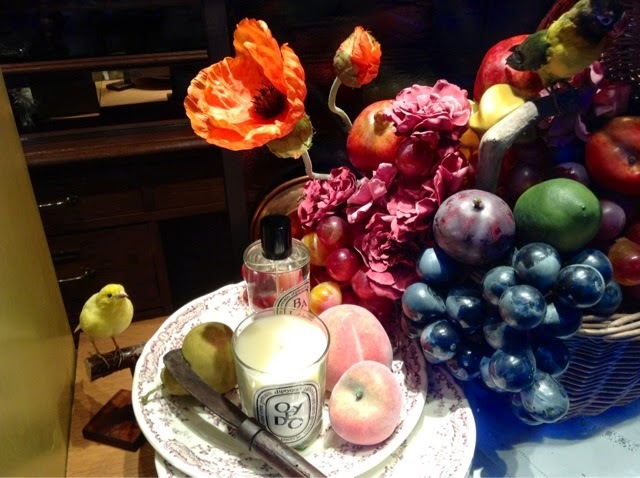 Diptyque has taken a good look at Dutch Golden age paintings certainment. Every window a potential painting. Chocolate bunnies have been keeping me busy in the studio this week. 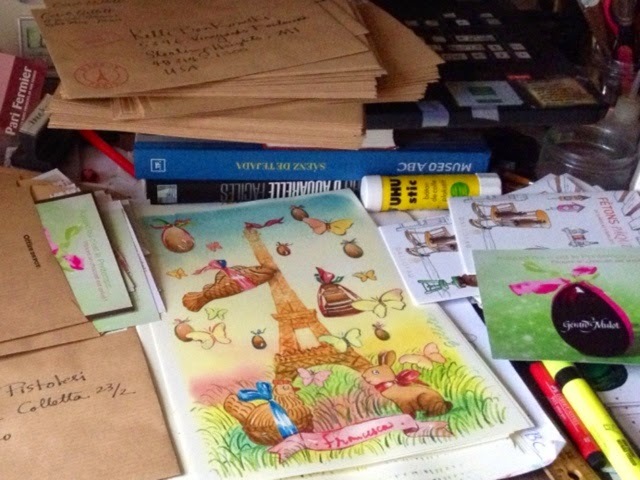 Addressing envelopes and folding your April Sketch letters is the perfect pastime for a Paris rainy Sunday. 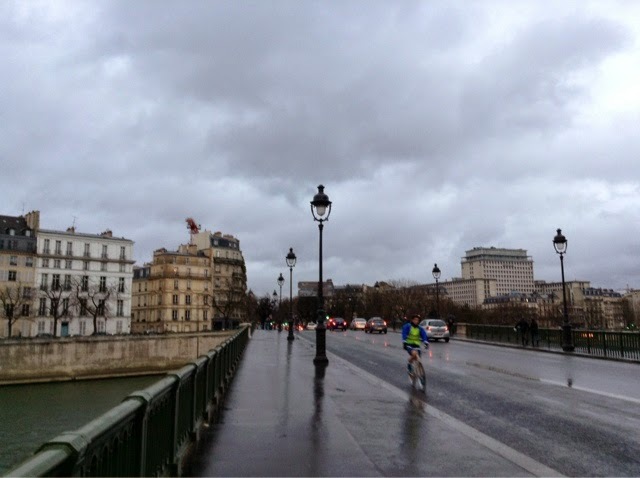 Paris rain doesn't stop the bikers or runners. 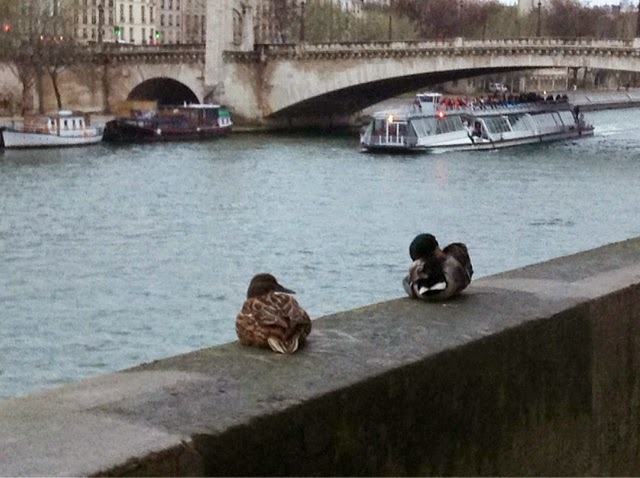 Or ducks observing passing boats on the Seine. 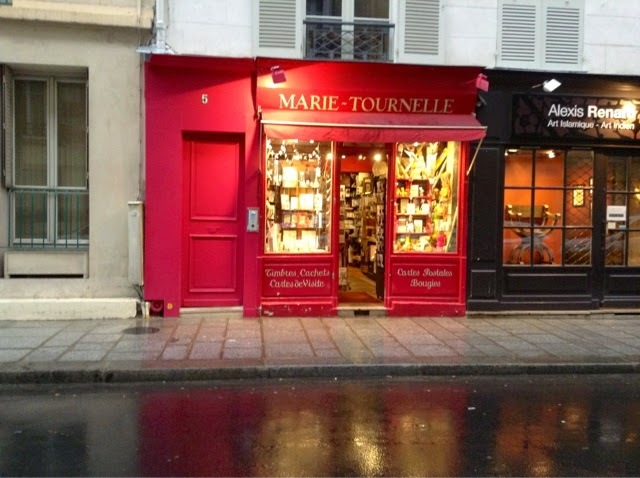 Everything you show us..proves it..
How right you are that every window is a painting..waiting to happen..
That Marie-Tournelle storefront is most charming! I love bunnies, and I love rainy afternoons in Paris. We're still getting snow showers here on Long Island and there's not a bunny in sight. If I remember, Paris gets slammed with European tourists for Easter so, get ready for the invasion! Your April letter will be the first sign of Spring for us suffering this never-ending Winter. Paris is beautiful and you captured it again! 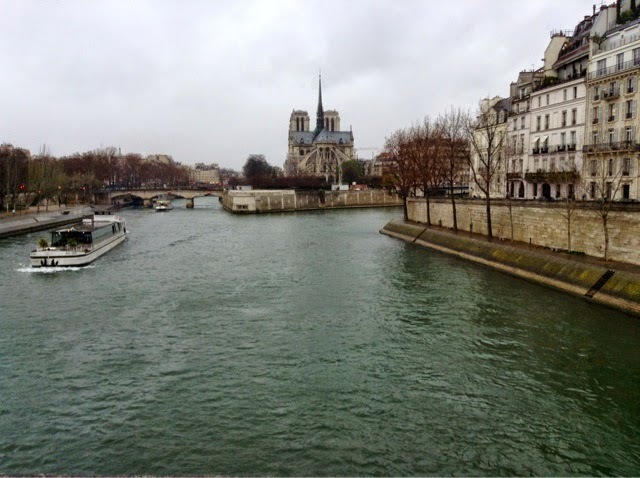 I have always loved Paris in the rain. 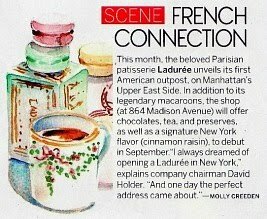 And I just saw where L'Etoile d'Or will be reopening by this summer - do show us her wonderful digs and candies and chocolates please! Spring is such a wonderful time of anticipation. Oh, Carol, can't wait for my letter this month. Bunnies and the Eiffel Tower ~ what a yummy subject! 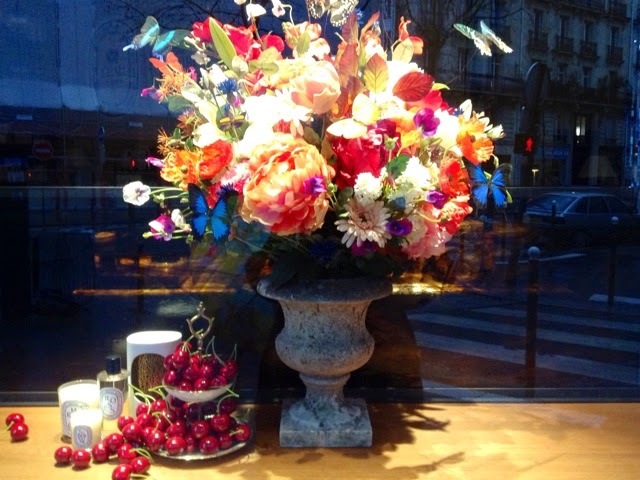 I'll will be flying in tomorrow,and definitely checking out those windows,and enjoying Spring in Paris. 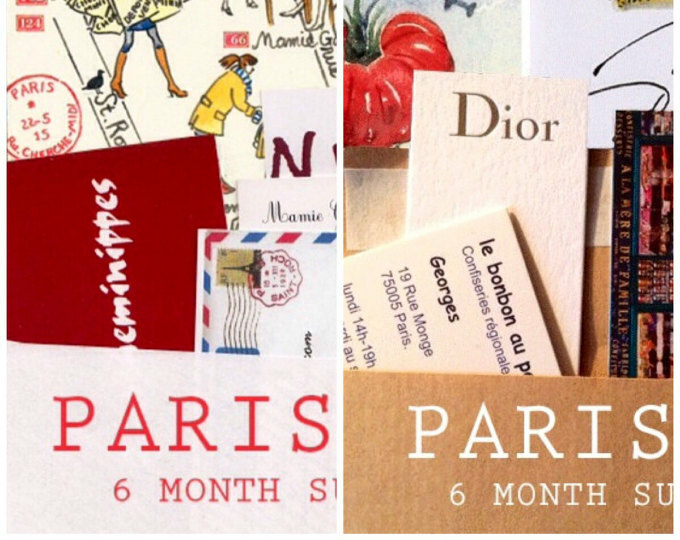 Is that OUR Paris sketch letter? I cannot wait!!!! 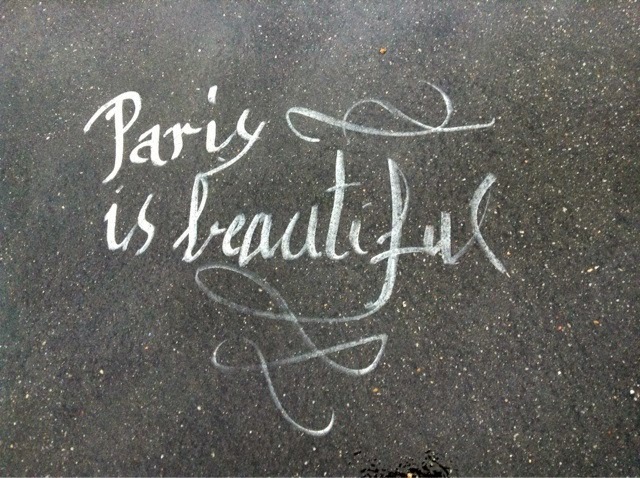 And yes, Paris is beautiful in the rain! Yes, it is beautiful - even in the rain, which gives it a romantic quality. Beautiful shots, Carol! I love the opening shot from the island. 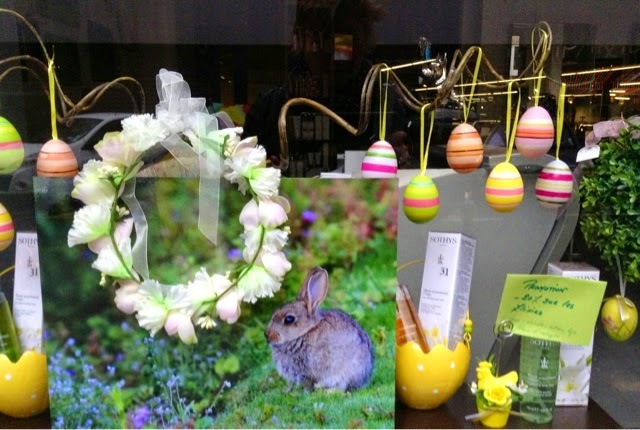 Love the bunnies in the windows & the ducks on the bridge! And bunny too. An obsession with bunnies certainly. Thank you for the lovely photos and allowing me some armchair travel! Yep that's where the colour "Paris Grey" comes from …. 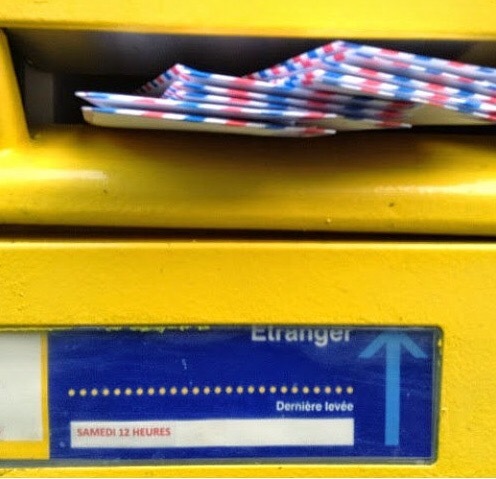 O, I just love your newsletters, even on rainy days! I wish the newsletters were published in a book that I could hold in my hand and just browse at random! Wonderful !!!! Love it! Thank you for something so fun to see with coffee in the morning!!! Have you thought about hiring an editor? 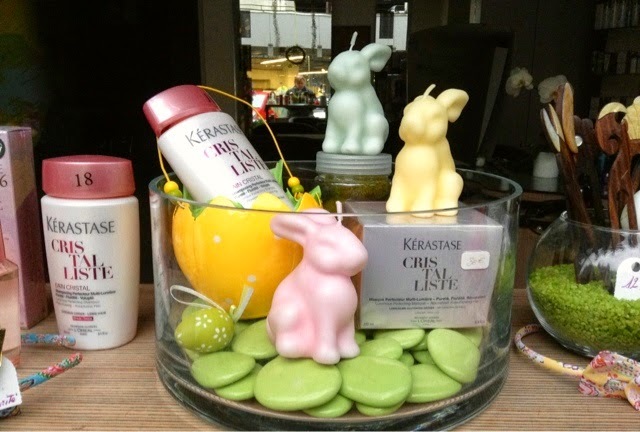 I love your site but there are often misspellings, grammar mistakes and, in this case, candle bunnies you said were soaps. Many, many smiles as I look at your sweet bunnies -- my favorites -- all of them! 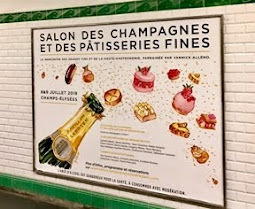 And oh, beautiful Paris. 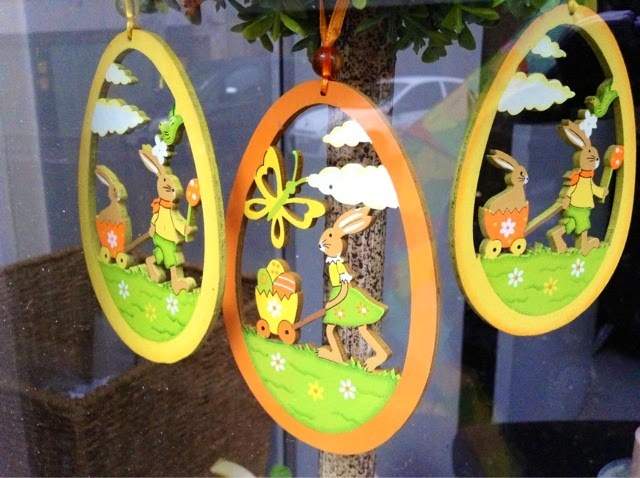 Yes, it is spring, I think perhaps a bit more for you than us -- but still, it is here and chocolate bunnies with it! Beautiful in any weather...I do love all the photographs in this post so much, Carol. Green bunnies! 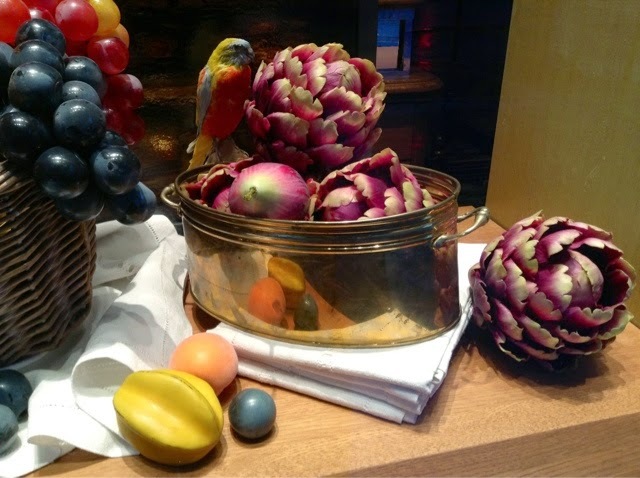 Extravagant floral displays at DipT...with that cute little chick checking it all out. Your April sketch letter looks grand. No fooling, dear Carol. Mille mercis Carol ! for your nice comment on Marie-Tournelle stationery on Saint-Louis Island. You can join us on Facebook. 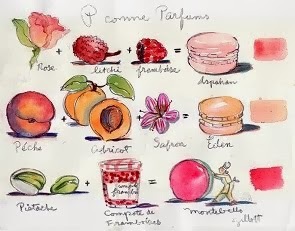 Hope to see you in Paris with the sun this time!